ALEXANDRIA, VA — July 31, 2015 — Six tech-savvy industry members are bringing their best hands-on tips and practical expertise to share with attendees at SAF Amelia Island 2015. The educational agenda includes a how-to session on web photography and videography, the inside-scoop on time-saving business apps, and some straight talk about mobile marketing. Nearly 50 experts are speaking at SAF Amelia Island 2015, including David Kesler, AIFD, PFCI, Leanne Kesler, AIFD, PFCI, Kate Delaney, Charles Ingrum, Ryan Freeman and Brandon Kirkland. Nearly 50 experts are speaking at SAF Amelia Island 2015, including Glenna Hecht and Tim Huckabee. ALEXANDRIA, VA — August 13, 2015 — Of all the pieces of your business, none is more important than your staff. It doesn’t matter how beautiful your flowers may be — if your employees’ performance is dismal, your sales numbers will be too. At SAF Amelia Island 2015, the Society of American Florists’ (SAF) 131st Annual Convention, Sept. 9-12, you’ll find hundreds of industry leaders and 48 expert speakers eager to offer their advice to get the best sales team possible. •	Sales Management for Wimps — Is your sales team stuck in a rut? Sales expert Tim Huckabee, president and founder of FloralStrategies, LLC, will demonstrate easy (and fun!) approaches, such as role-playing, to lure employees to aim higher. You’ll leave with a notebook full of tips to shift the mindset of the most recalcitrant “old-style” seller and instill them with confidence. Those are just two of the 37 educational sessions and events taking place at SAF Amelia Island 2015. For details and to register, visit http://safnow.org/annual-convention. Having trouble seeing this message? Click here to view it on the web. ALEXANDRIA, VA — August 10, 2015 — The Society of American Florists (SAF) will honor three professionals with induction into Professional Floral Communicators – International (PFCI) during the Stars of the Industry Awards Dinner on Sept. 12 at SAF Amelia Island 2015, the association’s 131st Annual Convention in Amelia Island, Florida. PFCI is the service mark of the floral industry’s finest floral educators. 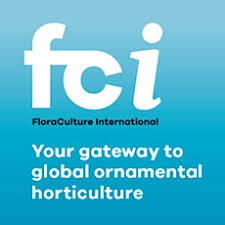 On local, regional and national stages, PFCI members present educational programs to floral professionals on topics ranging from design and care and handling to floral industry trends and profitability. PFCI members are vetted for presentation, publication and leadership experience, and candidates must submit an audition DVD of a live presentation to demonstrate their communication skills. Denise Gehrke, AIFD, PFCI, has worked in the floral industry for more than two decades. She presents programs and workshops on a diverse range of topics. Her presentation expertise includes color, holidays, merchandising and displays, permanent botanicals, principles and elements of design, sympathy, trends, weddings and events, everyday and corporate work. She truly has a passion for the floral industry and enjoys sharing “tips and tricks” of the trade. She joined Waukesha Floral & Greenhouse in Waukesha, Wisconsin in 2003. Today, she is the company’s creative design manager and fresh cut flower buyer. Previously, Denise worked at Harvey O. Preuss Florist as manager and head designer. She has taught floral design classes for Milwaukee Public Schools, and was a teacher/curriculum writer for the Wisconsin Upper Michigan Florist Association’s (WUMFA) Center for Education. Denise has held a number of leadership positions with the WUMFA, including board member and committee chairman. In 2007, she was inducted into AIFD. And, in 2012, she was the president of Teleflora’s Wisconsin-Upper Michigan Education Unit; that year, Teleflora awarded the group “Unit of the Year” honors. Her designs have won in numerous competitions and she strives to be a source other designers will use for creative inspiration. William Doran LaFever, PFCI, is president of Bill Doran Company in Rockford, Illinois and the president-elect of SAF. LaFever’s presentation expertise includes care and handling, marketing, moneymaking tips, technology and distribution. His consumer and trade programs have focused on the industry’s supply chain, consumer buying habits and marketing and sales best practices. LaFever has held a number of high-profile leadership roles. At the Wholesale Florist & Florist Supplier Association, he has been immediate past president, president, first and second vice president and treasurer, and a member of the group’s marketing and communications committees. He became an SAF board member in 2012 and has served on the group’s Wholesalers Council, as well as its Convention Committee. In 2006, Cub Foods Inc. named Bill Doran Company its Vendor of the Year (Produce and Floral) and in 2012, the Rockford Chamber of Commerce named LaFever one of the “20 People You Should Know.” LaFever has published articles in Produce News and SAF’s Floral Management magazine, among other publications. From 1993 to 1995, LaFever worked at Arthur Anderson. He earned undergraduate degrees in finance and computer application programming from the University of Notre Dame. Nelson Simpson AIFD, PFCI, NCCPF, joined the floral industry at age 12, when he started helping in greenhouses that supplied his family’s business with cut flowers and plants. A North Carolina Certified Professional Florist, Simpson has worked in the retail and wholesale segments and as a freelance designer. Today, he wears many hats for Lihmil Wholesale Flowers in Kernersville, North Carolina, working as a designer, educator and public relations and cut flowers specialist. He presents programs to the North Carolina State Florists Association (NCSFA), allied associations, as well as civic garden clubs and other surrounding state associations on care and handling, color, holidays, merchandising and display, moneymaking tips, permanent botanicals, principles and elements of design, sympathy, trends and weddings. Throughout his career, Simpson has earned many awards. In 2011, Simpson became the seventh inductee into the NCSFA Jim Treadaway Cup Hall of Fame. Among his honors are the FTD Cardinal Cup, NCSFA Designer of the Year, Winston-Salem Florist Association Designer of the Year, and Greensboro Triad Professional Florist Association Designer of the Year. He has won the coveted North Carolina Jim Treadaway Cup three times and received two People’s Choice honors. There are 134 PFCI members in 38 states, Canada and Singapore. To find a speaker for your next event, visit safnow.org/pfci. To apply for PFCI membership induction in 2016, visit safnow.org/apply-for-pfci-membership. 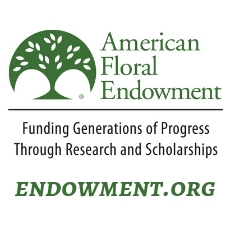 For SAF Amelia Island 2015 information, visit safnow.org/annual-convention.